US Airways Express - Piedmont Airlines Piedmont Airlines, Inc. is an American regional airline operating for American Eagle, formerly US Airways Express. It is a wholly owned subsidiary of the American Airlines Group, headquartered in unincorporated Wicomico County, Maryland, near the city of Salisbury. It conducts flight operations using Embraer ERJ 145 aircraft. 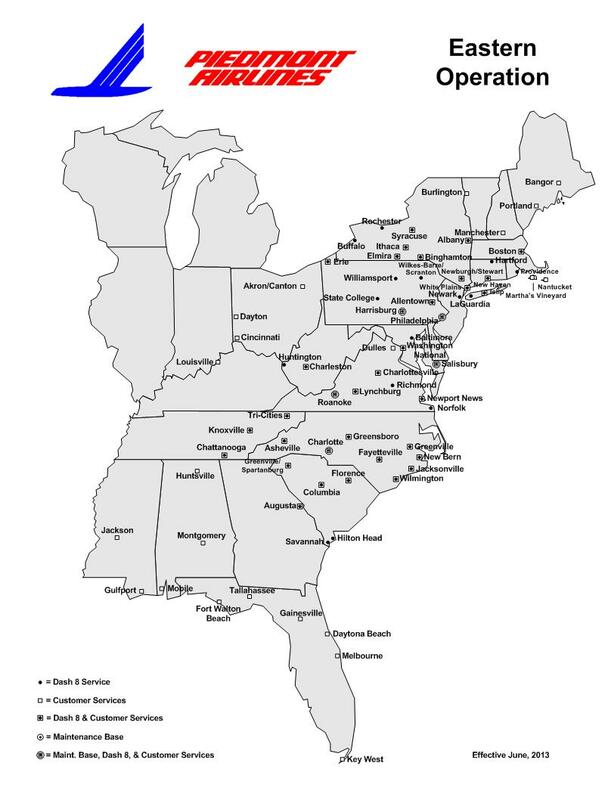 Piedmont Airlines, Inc. also provides ground handling and customer service for airports in the Northeastern & Western parts of the United States. Its main base is Philadelphia International Airport with an additional hub at Charlotte Douglas International Airport.